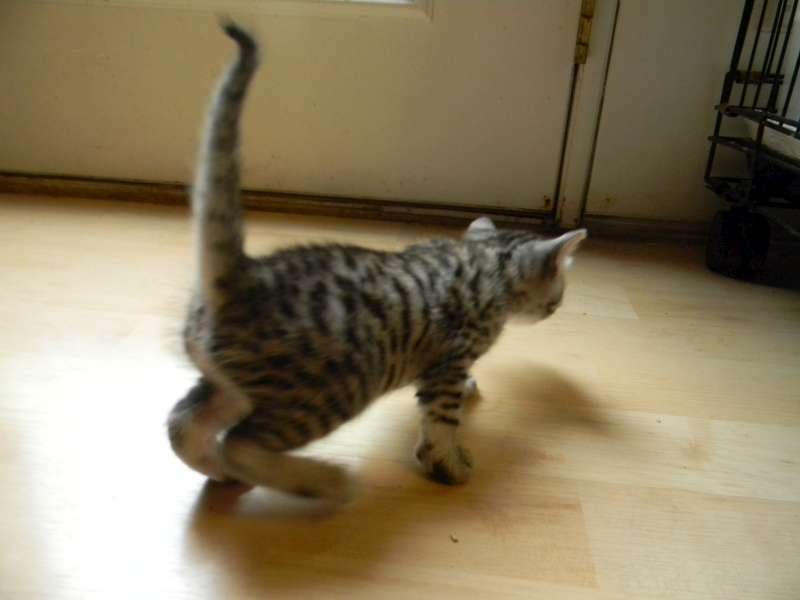 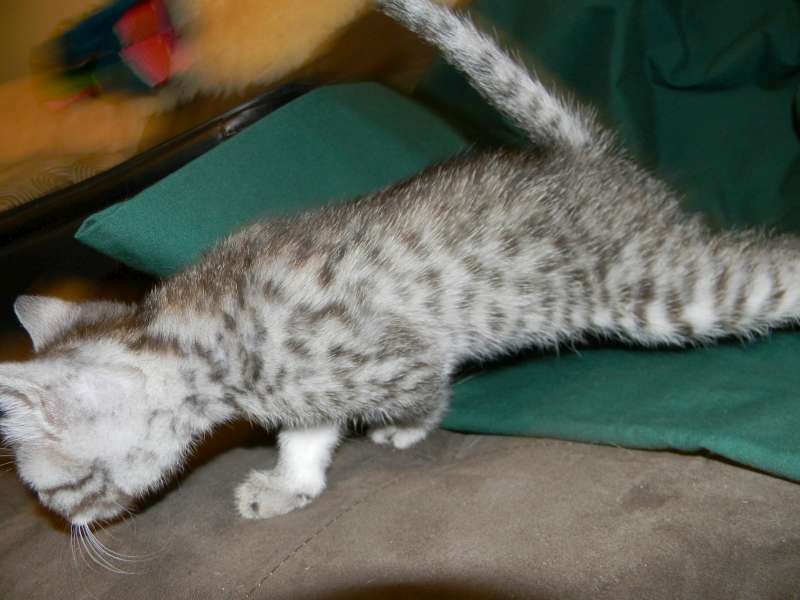 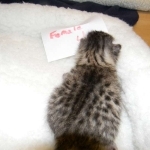 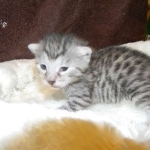 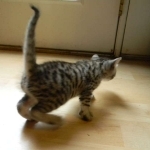 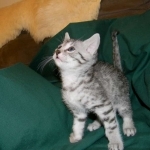 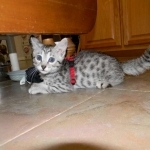 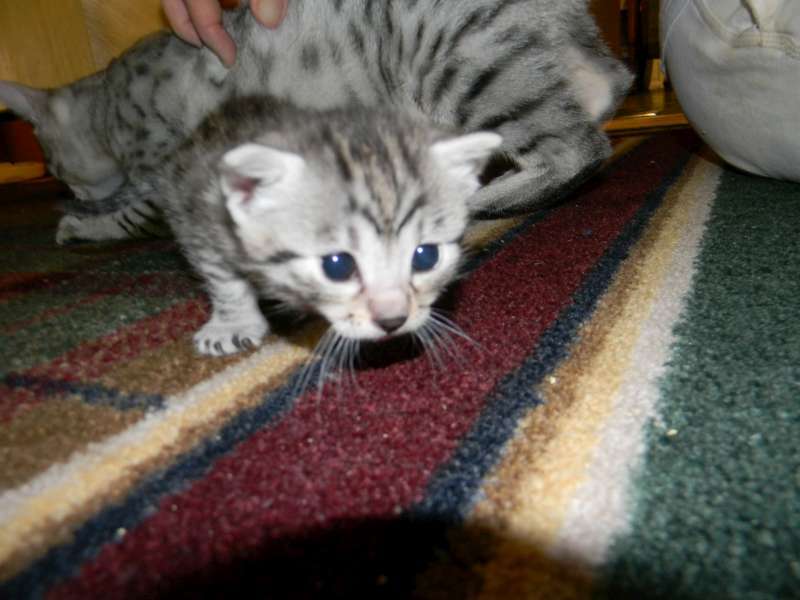 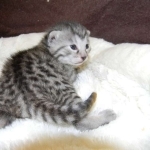 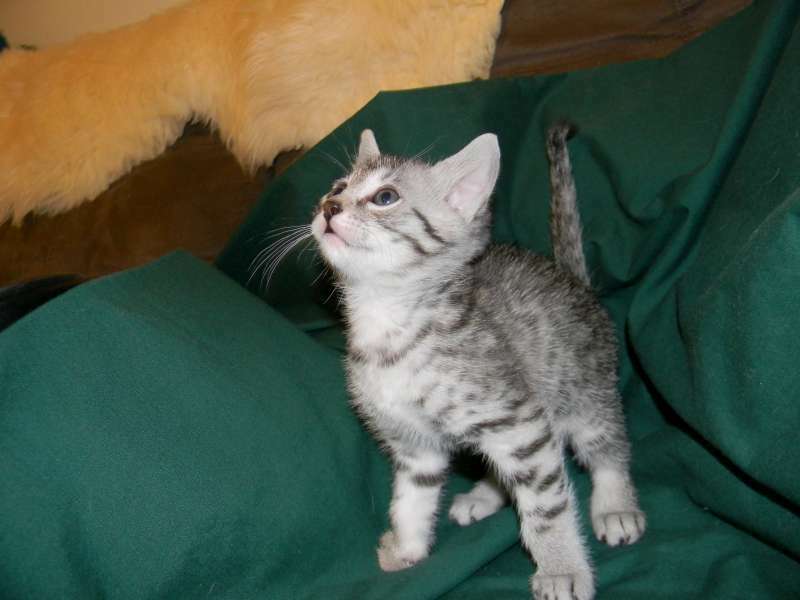 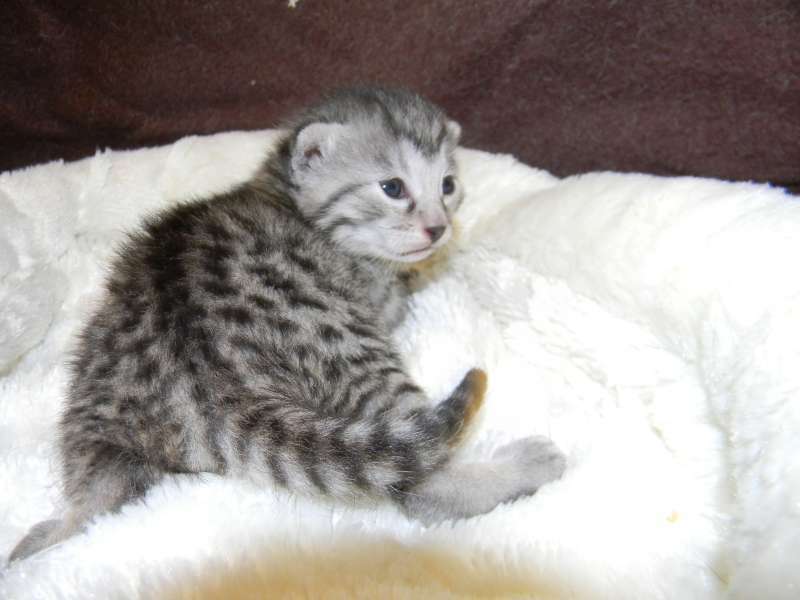 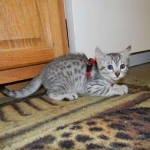 This precious little Egyptian Mau girl will be going home with Denise and her sister Sophie in MA! 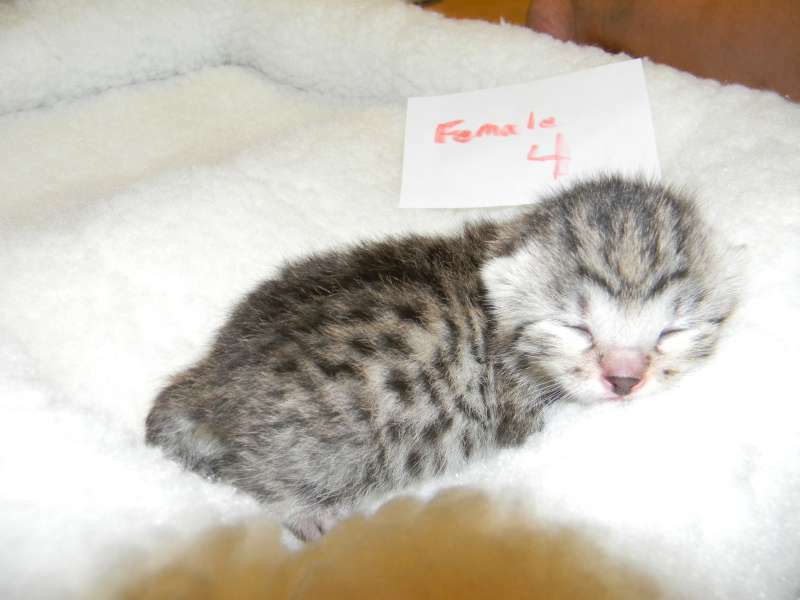 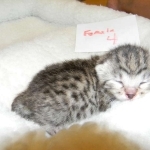 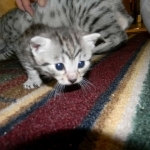 Just too angelic, this little Mau girl will be a beautiful spotted pet. 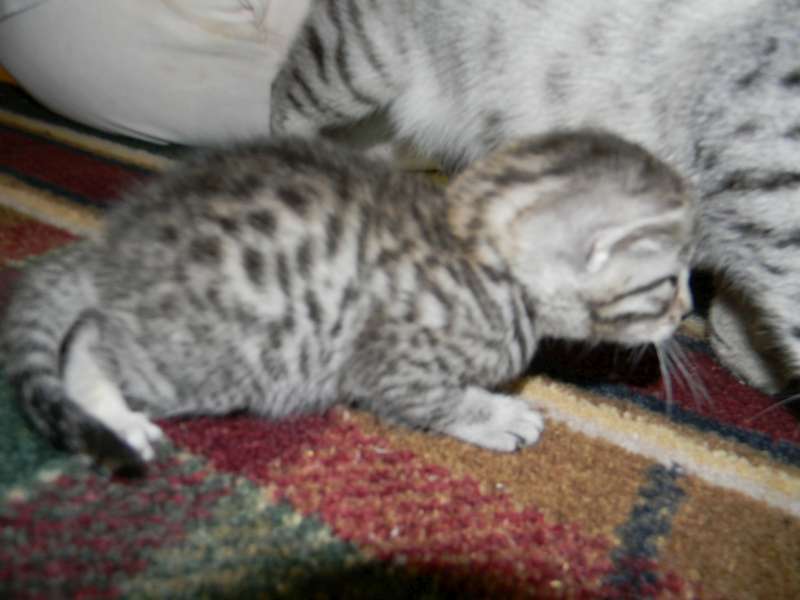 This Mau girl already is showing her great spots! 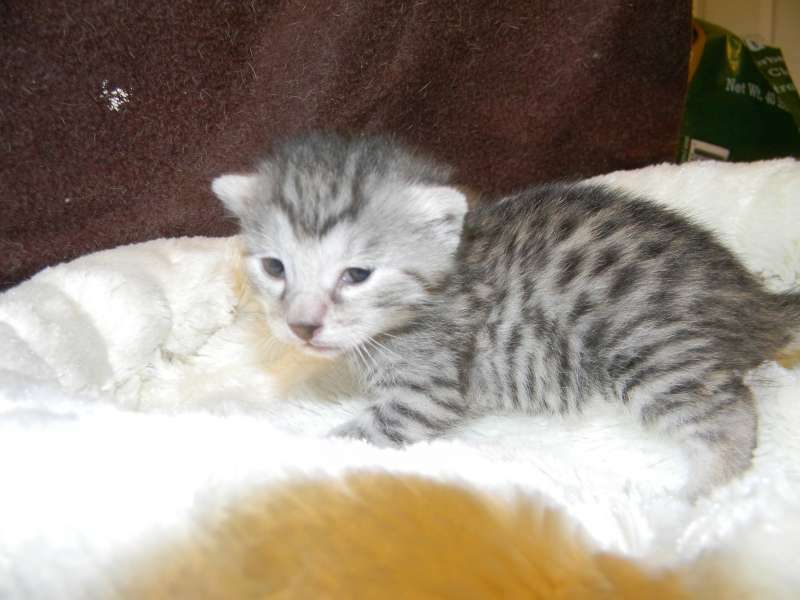 Just opened her eyes little Nila is too cute! 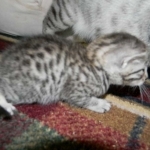 Mila is up and going now! 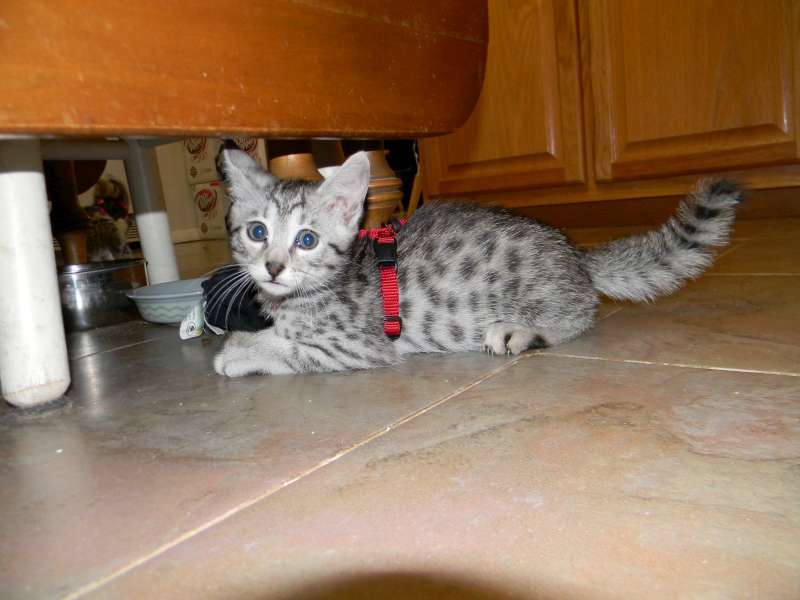 This Mau girl has soooo many spots! 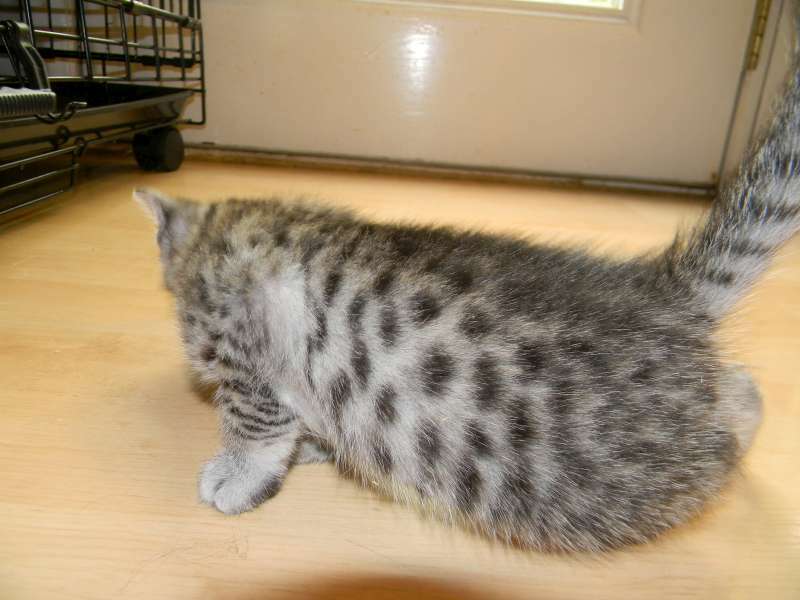 Nila has stunning large spots. 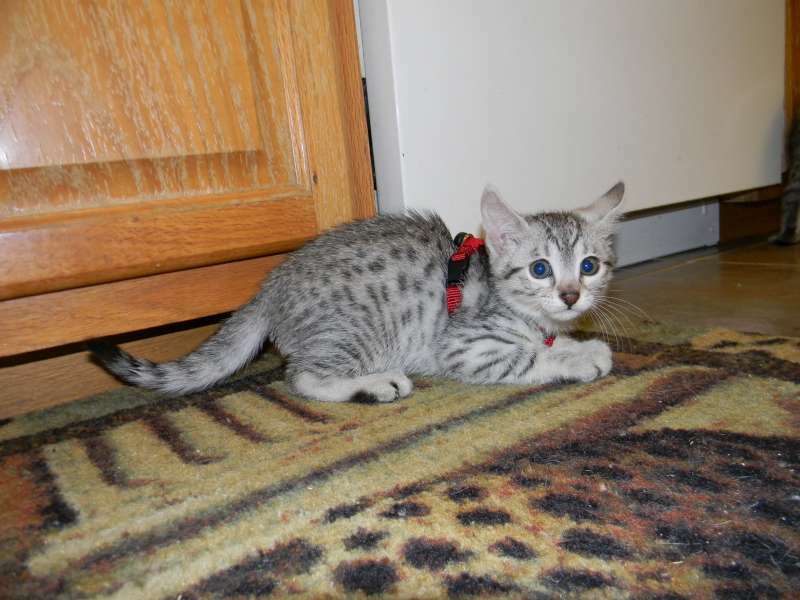 Gotta love that little mau face! 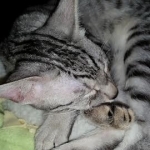 Getting ready for her big trip north in a couple of weeks. 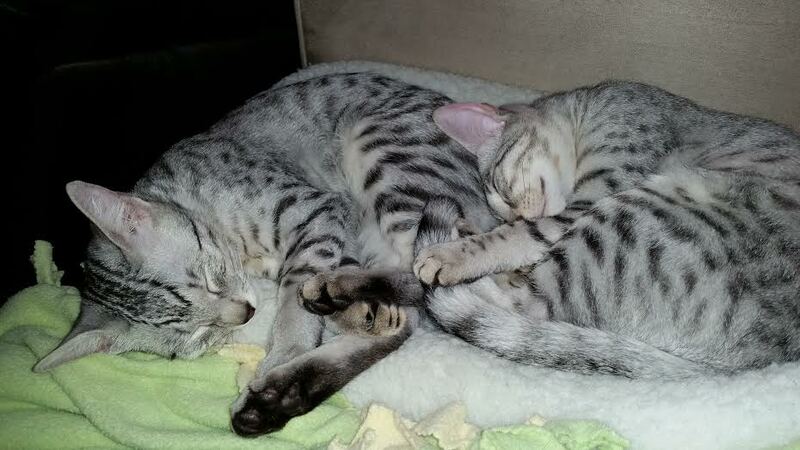 The sisters at rest. 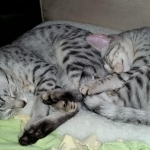 I love my babies Nila and Sophie!!! 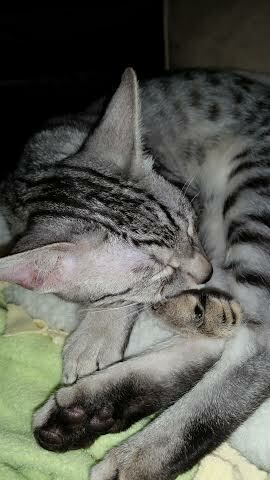 This is Nila with her precious bronze dipped paw.